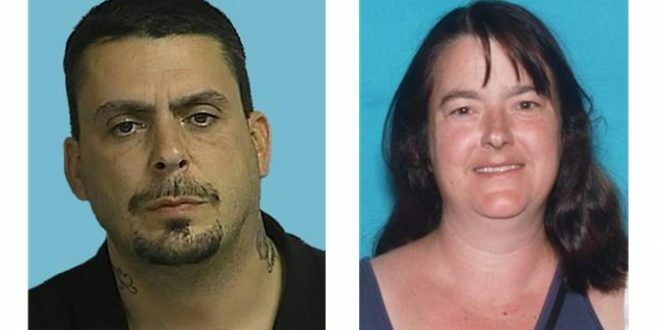 The Massachusetts State Police, in conjunction with the Missouri Highway Patrol have been investigating a series of consumer frauds, related to the purchase and subsequent sale of motor vehicles by a man and woman residing in Connecticut and the Kansas City Metropolitan area. The couple purchases a vehicle, typically from the Craigslist internet auction site. The vehicle’s mileage reading is altered and the vehicle is placed back on Craigslist. The two suspects pose as the previous owners of the vehicle. The investigation revealed approximately 48 vehicle purchases/sales within the past year in the Kansas City Missouri area and an undetermined number of vehicles sold in the Massachusetts, Rhode Island and Connecticut. It is possible not all the transactions involve an odometer rollback. Investigators are seeking to discuss these transactions with the sellers and purchasers of these vehicles. There has been no indication of impropriety on behalf of the sellers or purchasers, and investigators are still trying to determine the potential number of victims. The suspects do not use their names during, and typically use disposable pay-as-you-go cell phones. The man is approximately 5’9”, medium build, and has an “East Coast” accent. If present, the woman typically stays in a green Nissan Quest minivan with their children while the transactions are conducted. If you or someone you know has purchased a vehicle from these individuals please contact Massachusetts State Police Compliance Unit Trooper Stephen Walker, at 857-368-8626.